The flipchart can be provided only if requested prior to the meeting ! 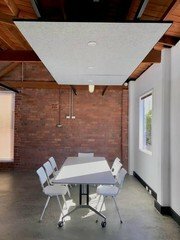 Higher Spaces is a boutique coworking and meeting space uniquely located in Melbourne Abbotsford and within a historically and architecturally significant complex that is formerly a Wool Works area. Our space is situated right next to the Yarra River walking trail with abundant greenery. 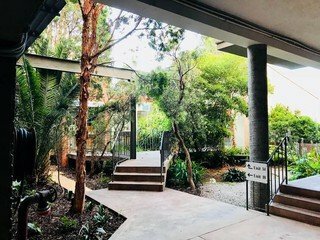 The surrounding tranquility alongside plenty of indoor plants bring an extra-ordinary sense of calm, focus and well-being at Higher Spaces that can be hard to find in the bustling city of Melbourne. Our human-and-nature centred space design is aimed to help people be more inspired, creative and productive. We have crafted an environment that combines unusual character with contemporary vibes that feels open, authentic, sustainable and engaging. 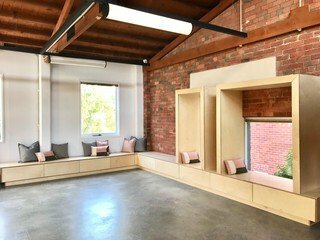 Our interior space has high wooden ceiling beams, exposed brick walls, lots of natural light, warm tones and generous window views of abundant greenery. A sense of flow between the surrounding nature and the interior runs throughout our space design. We are a tech-driven Smart Office where control of lights, door access and thermostat is via a mobile app. 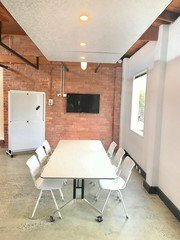 Why use our collaboration rooms? 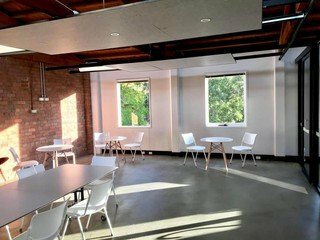 Our space is designed for business people looking to get away from the ordinary to an extra-ordinary environment so that you can refresh your spirits, find your soulfulness to motivate new thinking or discover awesome new ideas or solve complex problems with clarity or find your next business breakthrough. 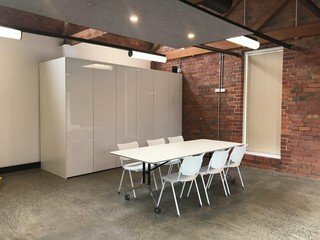 Our collaborative rooms are designed to be flexible and easily configured depending on your needs. 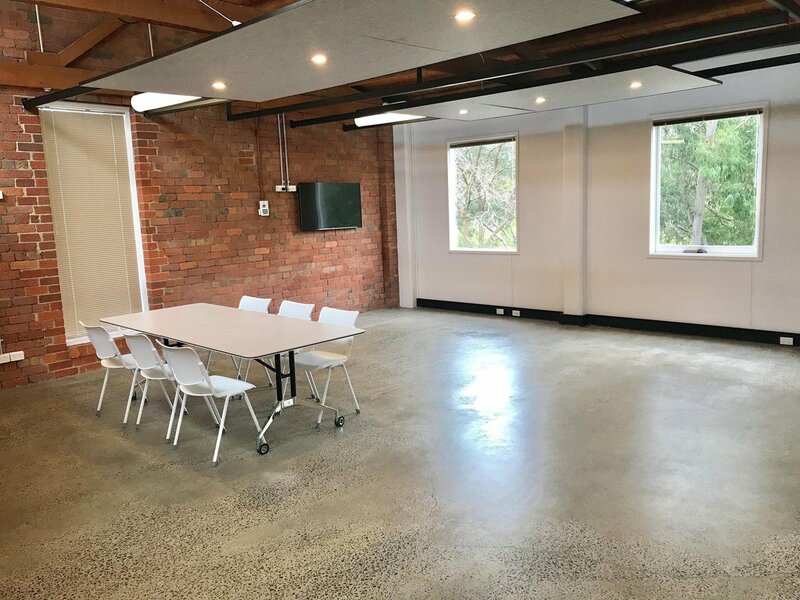 We provide a large wall of whiteboard for visualisation; rollable tables and stackable chairs to create different seating/standing formations; Wi-Fi enabled Smart TVs easily connected to your laptop for casting; and quality Bose sound system.